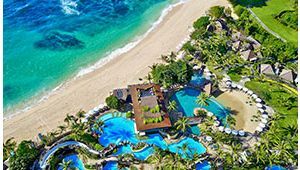 Touch down in Bali and head straight to Nusa Dua for the luxury relaxation holiday you've always dreamed of. 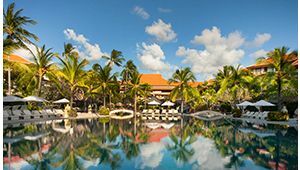 Let's be honest, while action and adventure are great for your overseas holiday, you also want a little bit of pampering to go with it. Thankfully, this island paradise blends the two elements seamlessly. 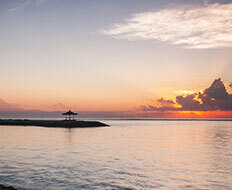 Nusa Dua's beach hotels have all that you could possibly ask for in a luxury resort destination. 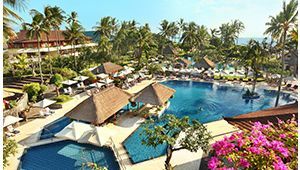 The exclusive gated area is impeccably maintained, with lush gardens and a beautiful white sand beach to explore when you feel like becoming one with nature. It's also got shopping if you want to get active during your holiday, or you could try out some of the bars and restaurants in the area. 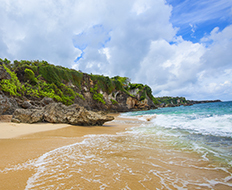 The real attraction in Nusa Dua, however, is the accommodation. The area has everything you could possibly want, to suit a range of budgets and requirements. 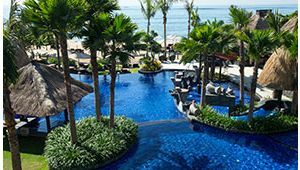 If you're looking for glamour, relaxation and full amenities without spending a year's salary to get it, try the Melia Bali Resort. 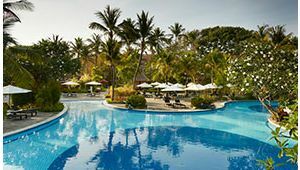 Here, you can escape from everyday life and let your troubles melt away in the swim-up pool bar. 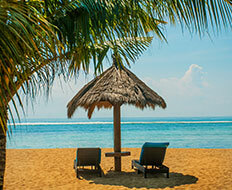 Imagine water lapping at your waist while you indulge in a margarita or two! There are also several restaurants to choose from. 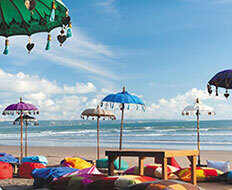 ... Read more Alternatively, you may like to book into Nusa Dua Beach Hotel, known as the first premier hotel in Bali. 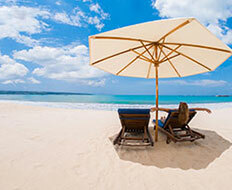 With that kind of accolades, you know you're in for a treat at this 23-acre haven. 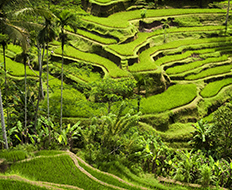 It's an oasis of tranquillity designed to feature all the elegance of a Balinese palace. 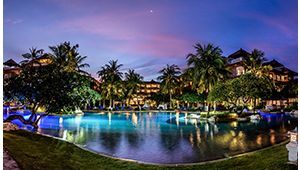 It boasts five stars and has warmly welcomed royalty and the cultural elite since its grand opening, but no matter where you come from, you're bound to be treated like a queen.